Today, we'd like to shine the spotlight on some awesome projects that have caught our attention in another edition of You've Been Spotted. Sit a spell and get ready to ooooooh and aaaaah over some of the cool designs we've noticed recently. It may be autumn in the Northern Hemisphere, but Allison's cute card celebrates endless summer. 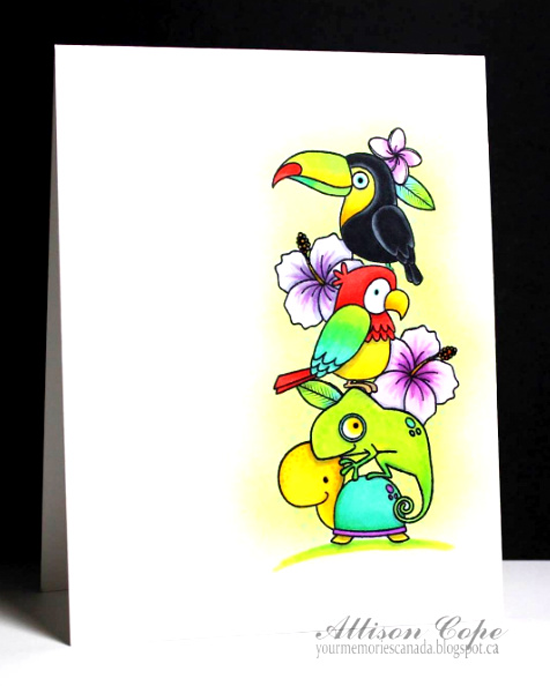 I love her stack of cuties from the Polynesian Paradise stamp set! 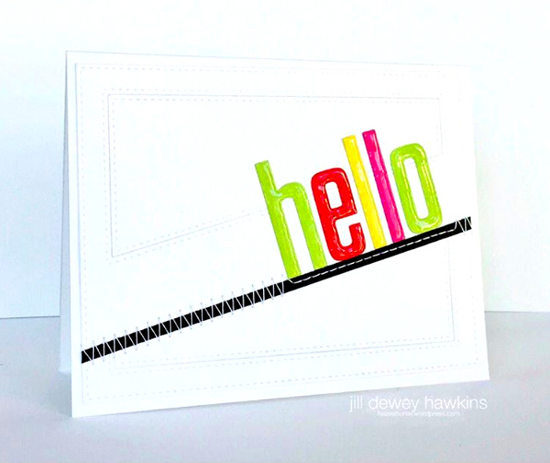 Jill used an all white background created with the Stitched Cover-Up Companion - Diagonal Die-namics to feature a colorful word created with one of our alphabets. Add some texture with glossy accents and stitching! 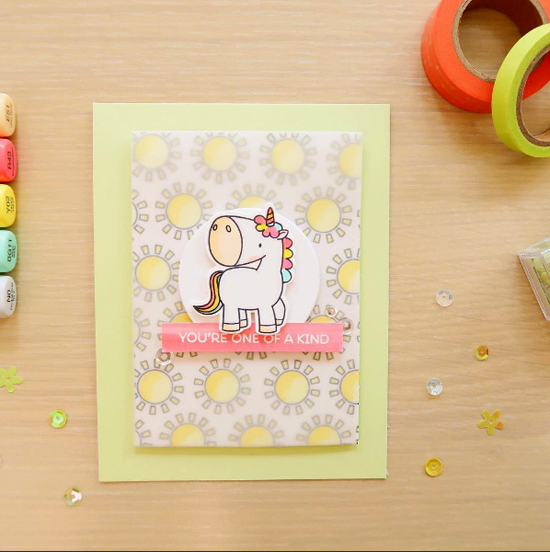 Laura created a sweet card with our Magical Unicorns stamp set. I love how she used the sun from the set to create the cheery background. The vellum overlay gives it a dreamy look. Houston's sweet card just feels like fall. 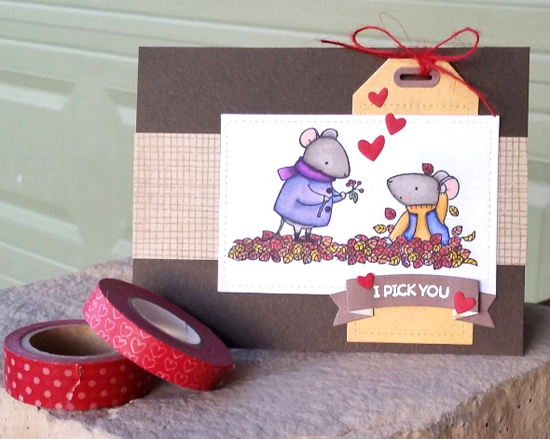 I love the warm colors she's chosen and the playful scene she created with the Harvest Mouse stamp set and Die-namics. 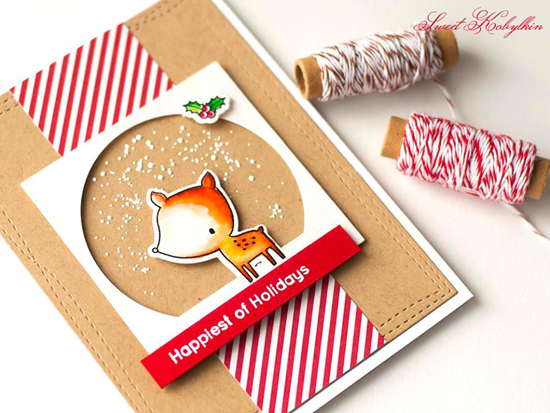 Xenia created this card for Sketch 284 awhile back, but I just love it! What pretty inspiration for creating your Christmas cards this year. This Saturday is World Card Making Day — the kick off to holiday card season — so this is your official permission to craft all day long! Thanks for using MFT, ladies! You've left us inspired, and that's what it's all about! See you tomorrow for another great Sketch Challenge, and look for the next MFT Color Challenge on Thursday, October 13th. Which design is your favorite this week? Be sure to leave these ladies some love. And who knows? You might be spotted sometime soon! Thank you so much for your kind words on my card! I love this stamp set; those mice are just too cute!! !